Foam mattresses are some of the most popular options available because they provide total body support, cancel out motion, and perform for years as well as they did on day one. But if you’re are considering a foam mattress, you will have to decide between memory foam and gel foam. They are both great options, but they both have unique properties, too. Getting the deepest, most restful sleep depends on finding the right option for your sleep needs and style. Before you start shopping, learn everything you need to know about comparing memory foam and gel foam. What is the Difference Between Memory Foam and Gel Foam? The difference comes down entirely to the materials. Memory foam is made from a material called viscoelastic. Did you know that viscoelastic was developed by NASA in the 1970s to improve the seat cushions and crash protection of the space shuttle? The material proved to be so comfortable and sturdy that it made its way into mattresses. A gel foam mattress is also made from viscoelastic, but it has been infused with gel. Usually, the gel is distributed evenly throughout the mattress but sometimes is only present in a single layer. The biggest advantage of a memory foam mattress is that it fully cradles the body. That keeps weight off of pressure points and helps sleepers wake up without feeling stiff or sore. Plus, since it is a single piece of sturdy material, if someone else in bed is tossing and turning, their motion does not affect your sleep. Finally, the spongy feel of memory foam strikes a great balance between being soft and firm. What are the Advantages of a Gel Foam Mattress? One of the few criticisms of memory foam mattresses is that they offer no place for body heat to escape and can cause sleepers to reach uncomfortable temperatures during the night. The gel in gel foam mattresses corrects this by enhancing air circulation. Heat is allowed to escape, and the sleeper stays cool at night. Otherwise, gel foam and memory foam mattresses offer all the same advantages. For your best nights sleep, work with our sleep specialists at Beloit Mattress. Read our mattress reviews — we are your source for handmade, quality mattresses for a reason! 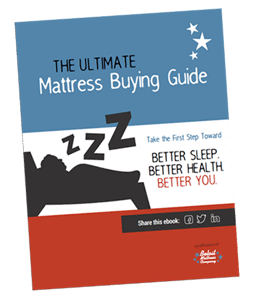 For more advice and assistance from our team of mattress experts, consult our free Mattress Buying Guide. This guide is meant to inform you, not sway your decision one way or the other. And really you shouldn’t make up your mind until your try out both styles of foam mattress and decide which one you prefer.